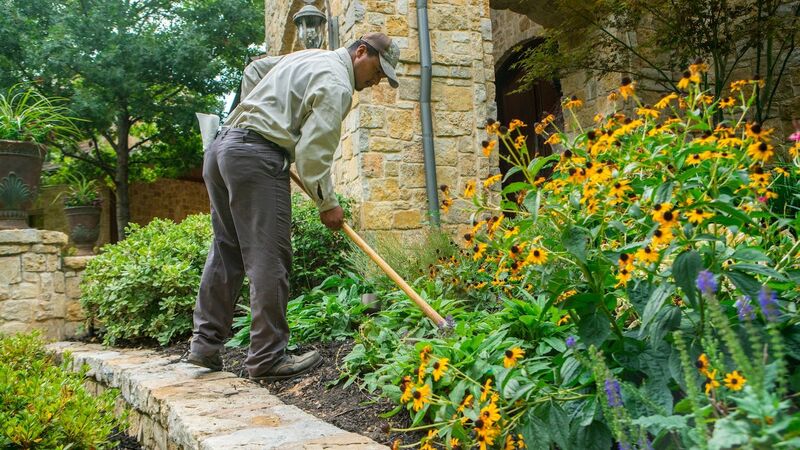 There’s a lot involved in Texas lawn maintenance, and timing is everything. 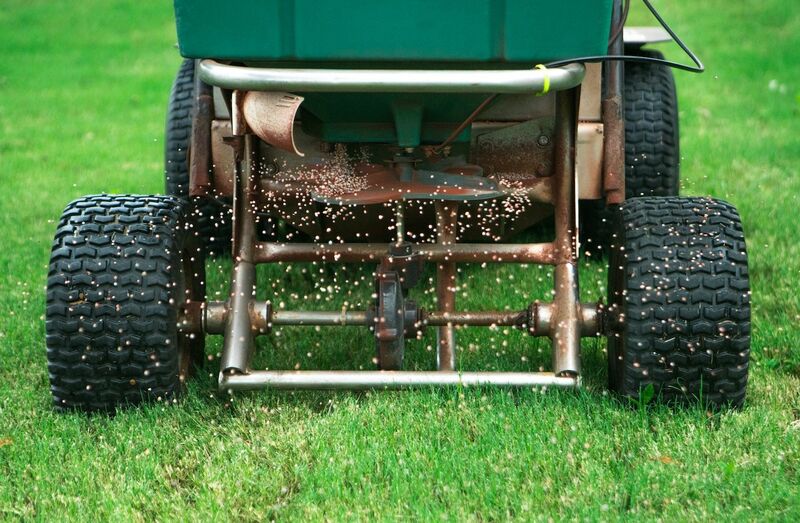 When is the best time to apply fertilizer—and what time of day should you water your lawn to get the best results? 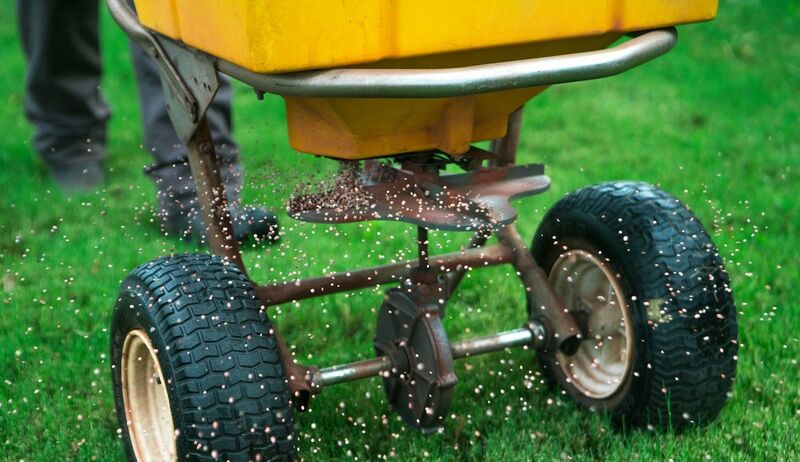 From controlling weeds to seeding a lawn, when you perform these essential lawn care and landscape tasks is the difference between success, and possibly hurting your lawn. We know many folks who decide to care for their own lawns, and there’s nothing wrong with that—except when they overlook timing and end up not getting the results they expect. Basically, you can do all the right things for your lawn at the wrong time and end up wasting your weekend and your money. So, let’s dig into this timing issue. 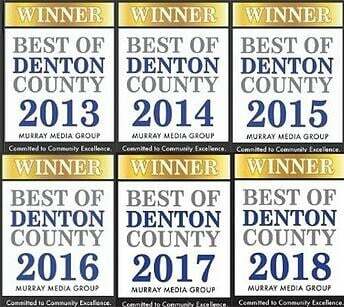 Here, we’ll give you insight on the best time in Flower Mound and Highland Village, TX to fertilize, water, spray weeds, prevent insects, service your irrigation system, seed a lawn and more. 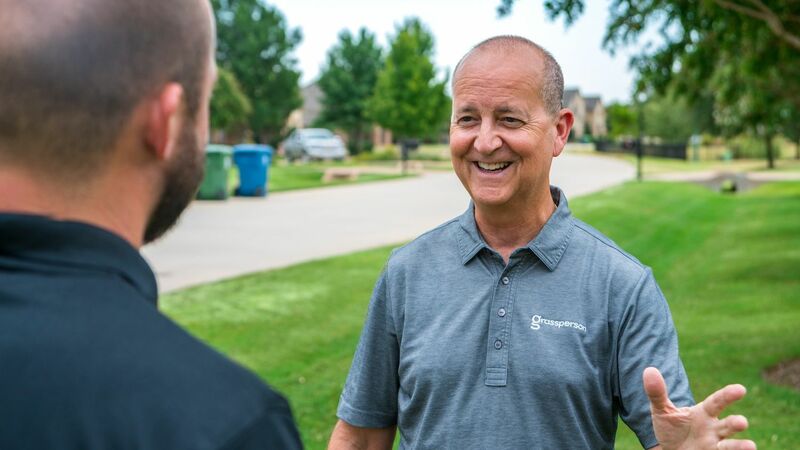 You’ll see, there’s a reason for this schedule—and with this knowledge, you can do all the landscape maintenance yourself, or hire a pro to handle the landscape maintenance needs you’re not comfortable handling on your own. In the very beginning of the growing season (February and March), bi-weekly mowing may be adequate as the grass isn’t growing as aggressively. Later in spring through when fall arrives, when we see faster grass growth, so you’ll realize that your lawn needs mowing every week. Trying to mow your lawn less than weekly is going to be more work and leave your lawn looking untidy. At the end growing season (October), bi-weekly mowing may be adequate as the grass isn’t growing as aggressively. From November through the end of February, we recommend mowing at least monthly. As you can see, mowing is a year-round activity. At Grassperson, we also trim the lawn’s edges with every service because this extra step is the difference between a lawn that looks average vs. a beautiful, neat property with clean edges. Especially during the growing season, grass edges can quickly creep onto sidewalks and landscape beds, causing a yard to look messy. Trust us, this extra step is worth it. It is important to coordinate the timing of your lawn maintenance with lawn care applications and regular watering. We recommend not mowing for 24 hours after a fertilization and weed control application. Ideally, you will not mow the same day that you water your yard. 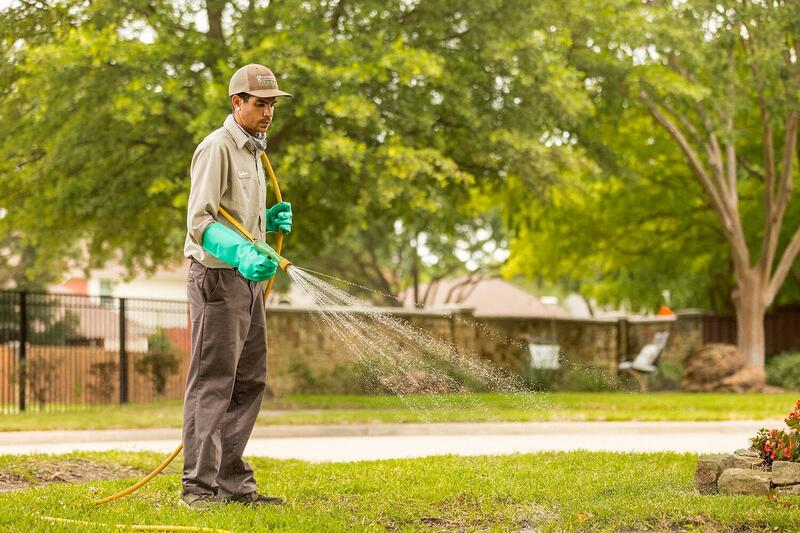 The best time to water your lawn can be a touchy subject in Texas because many communities put water restrictions in place, especially during summer. But, grass needs water to stay healthy and grow, so if Mother Nature isn’t raining down on your lawn, you need to run a sprinkler if you expect grass to stay healthy and continue growing. Many of the lawns we care for have irrigation systems, and yours might, too. Here are some tips for when and how often to water. The best time to water your Texas lawn is in the early morning. This way, soil can soak in moisture before the sun causes water to evaporate and, generally speaking, the wind velocity is slower earlier in the day. An exception to this rule is when water restrictions are in place. Let’s say your municipality allows homeowners to water their lawns twice per week. We recommend watering morning and evening on those two days so you can achieve four watering times—which is ideal for summer. Moving into the question of how often to water in summer, we recommend three to four days per week. In winter, plan on watering your lawn in the morning once a week. As for how long to water your Texas lawn, plan on 10 to 35 minutes per zone, depending on the type of irrigation heads your sprinkler system has. Rotor heads must run longer—25 to 35 minutes per zone—while spray heads can do the job in 10 to 15 minutes per zone. Don’t forget about trees, shrubs and flowers. Those also need to be watered three to four days per week in the growing season, and at least weekly in fall and winter. 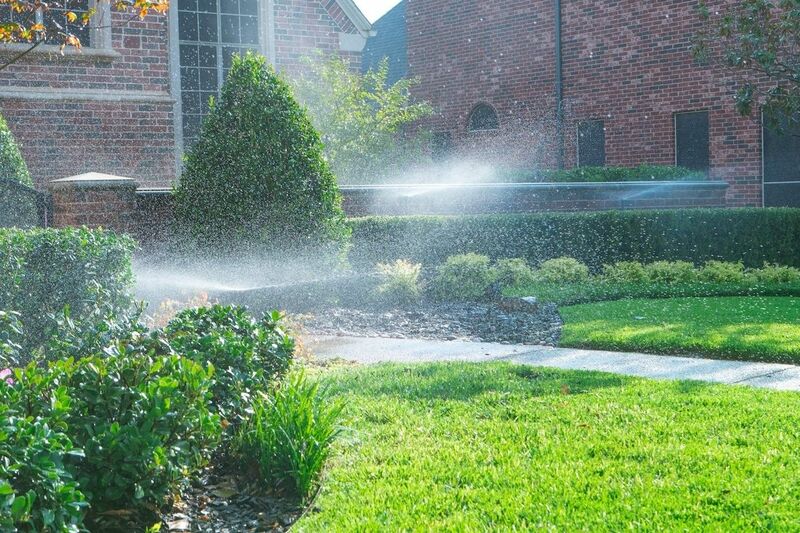 Speaking of watering, you rely on your sprinkler system year-round in Texas, and ideally you should get a quarterly irrigation system checkup. At the very least (and we never suggest that less is more in this case), get an irrigation maintenance check annually in the early spring. During an irrigation check, a certified irrigation technician will review all components of your system. Most homeowners are not qualified to audit and test sprinkler systems for efficiency and performance, so it’s best to rely on a pro. 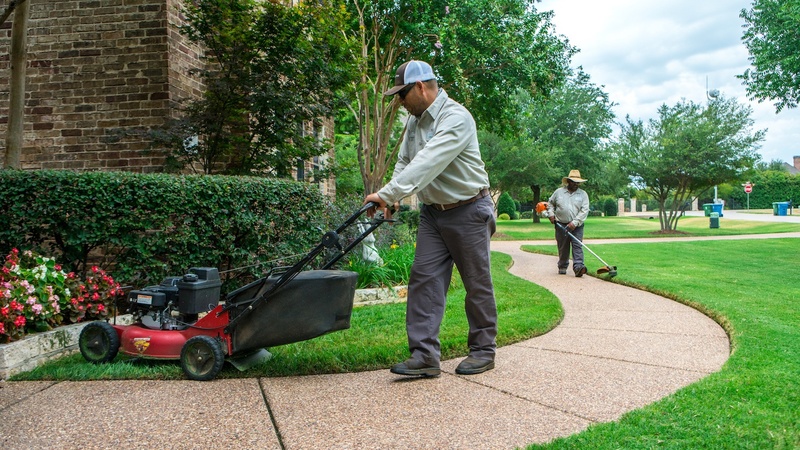 Lawn care is a year-round necessity in Texas if you want a healthy lawn because our grass is always growing. Sure, it slows down in winter, though grass still needs nutrients to stay healthy. 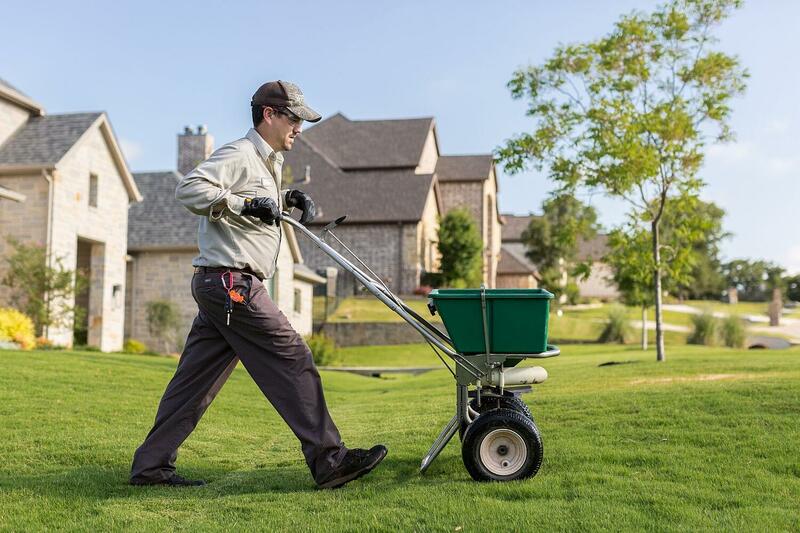 We fertilize Denton and Collin county, TX lawns four times from April to October to provide consistent turf nutrition. 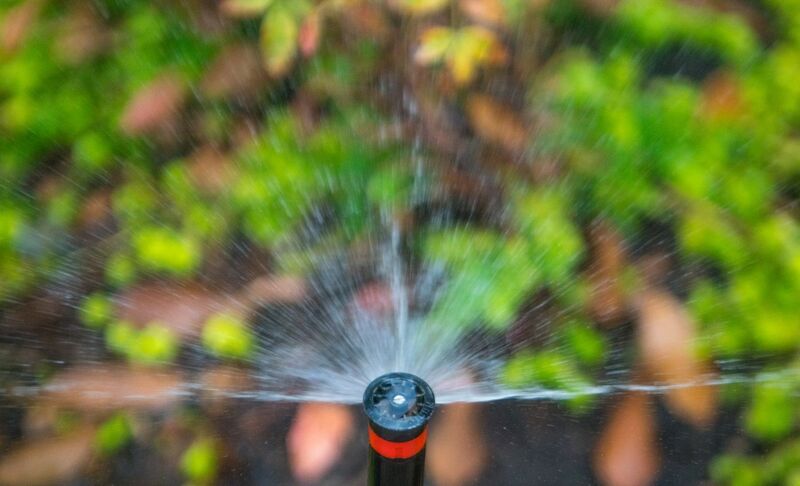 Fertilizer must be watered in, so if there’s no rain in the forecast after it is applied, plan on running your sprinkler system for the recommended time based on your sprinkler heads (rotor or spray head). As we said, give the mower a rest for at least 24 hours after a fertilizer application so the product can absorb into the soil. Weeds can be tricky to tame, which is why you’ve got to stay on it if you want to maintain a healthy lawn. After applying weed control, you should water in the product and avoid mowing for at least 24 hours. The same rules apply to insect control. Late September and early October are prime times for planting new grass seed in Flower Mound and Highland Village, TX. By this time, you’re less likely to have scorching heat that stresses new plants. Also, cooler temperatures allow soil to retain moisture better, so your watering efforts will be more long-lasting. Also, early fall seeding gives new turf an opportunity to establish before winter. 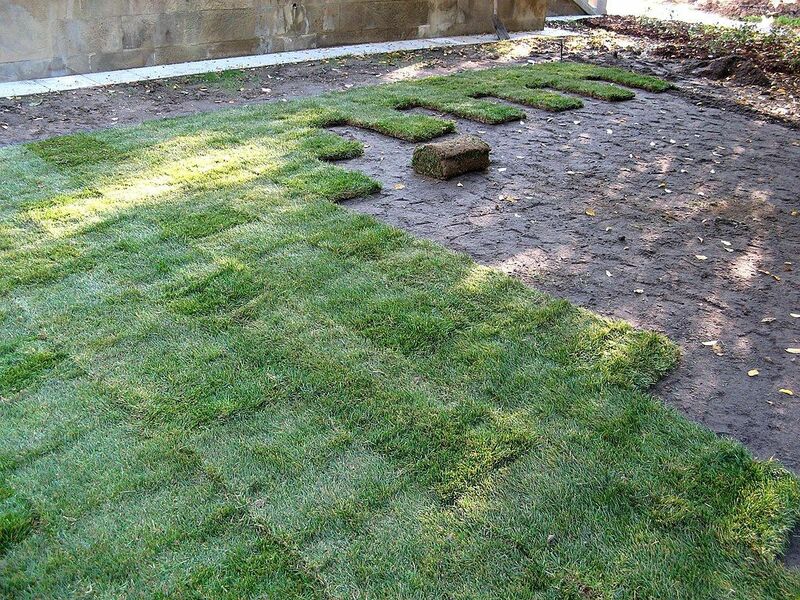 Ready to Get the Best Lawn on The Block? 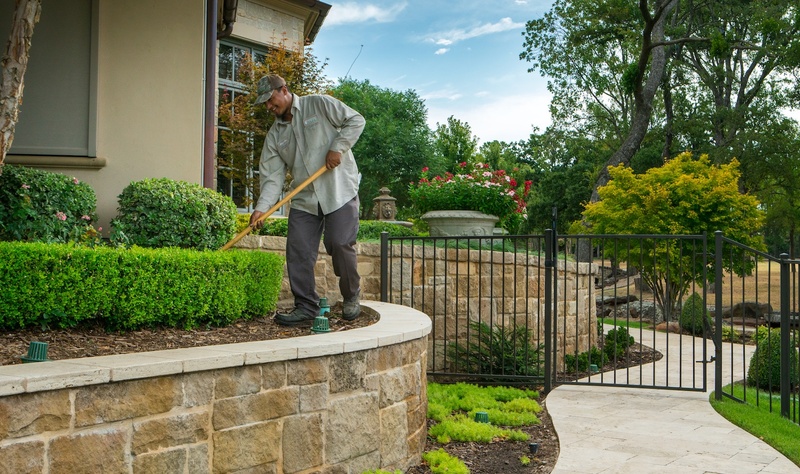 Now you know the best time to perform essential lawn care and landscape maintenance tasks for your Texas lawn. Are you game to dive in and start working in the yard? Or, maybe you’d rather pick and choose which lawn care tasks to tackle and leave the rest to the pros. We don’t blame you if want to partner with a lawn care service that is equipped to manage all of your lawn care so you can just enjoy the outdoors without all the work. Seriously, you deserve a break—and the best lawn. Get a free quote, get $25 off your first visit, and then enjoy the best lawn on the block!